Description This is an enhanced print from the glass plate negative. Photo taken by Will Bickner. 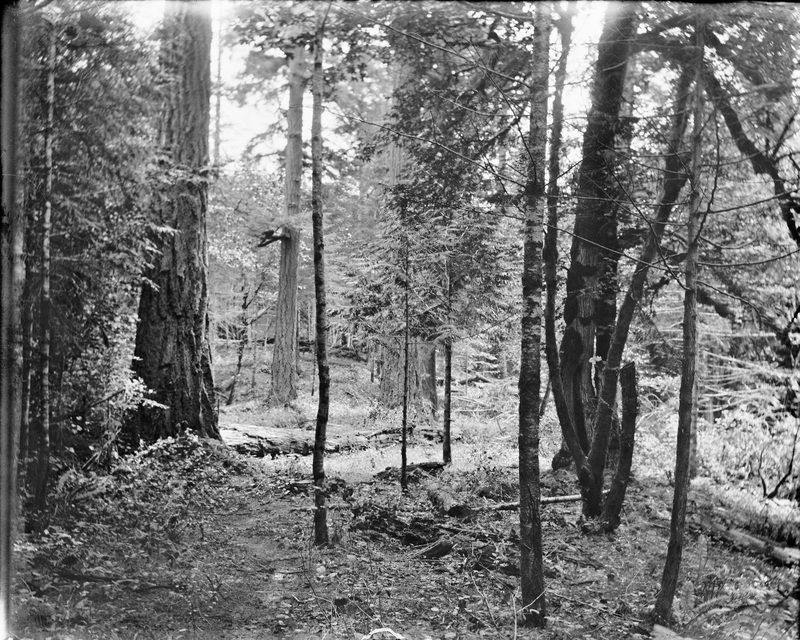 Written on the negative sleeve: Woods across from furnace [unintelligible word.] Box 26.